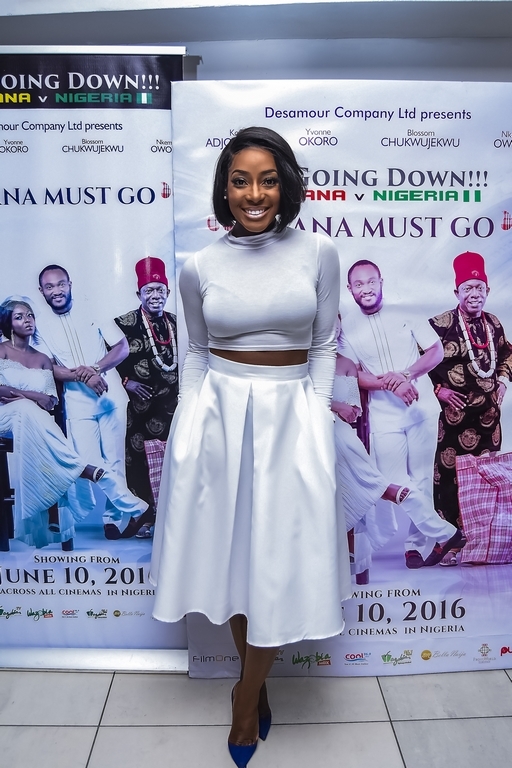 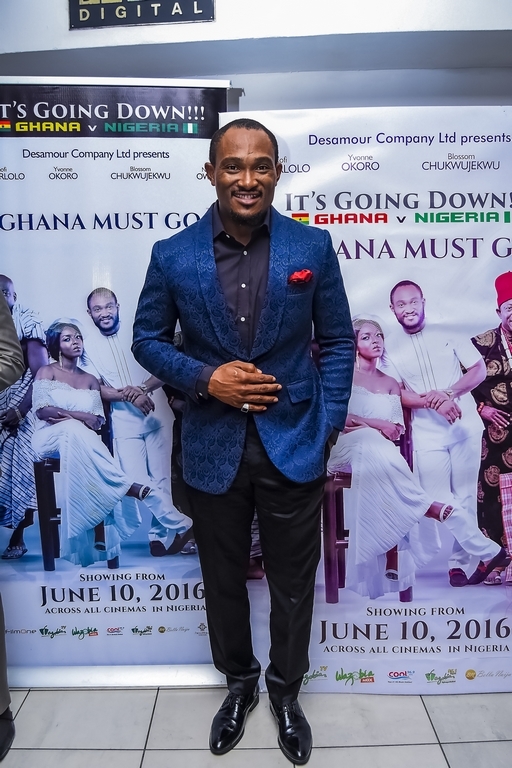 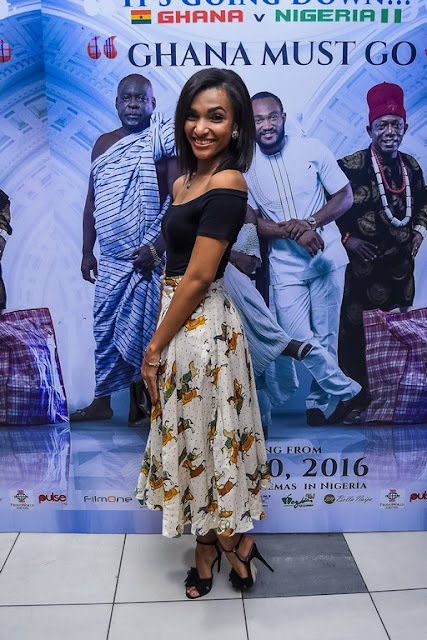 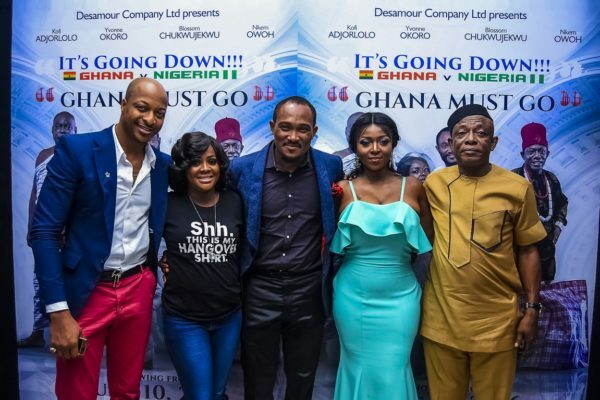 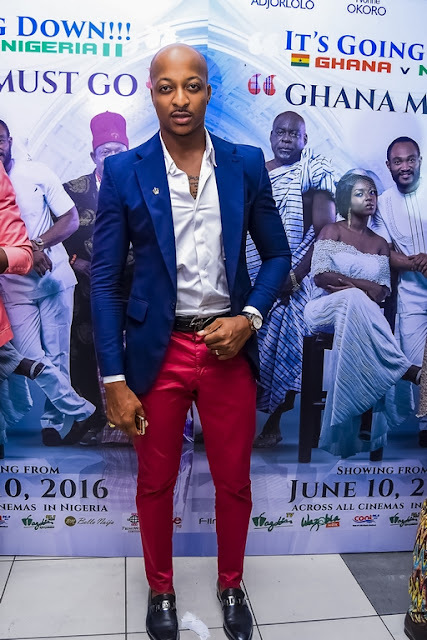 Lagos was taken by storm last night at the Nigerian premiere of ‘GHANA MUST GO’ a romantic comedy feature from the stables of Desamour Productions. 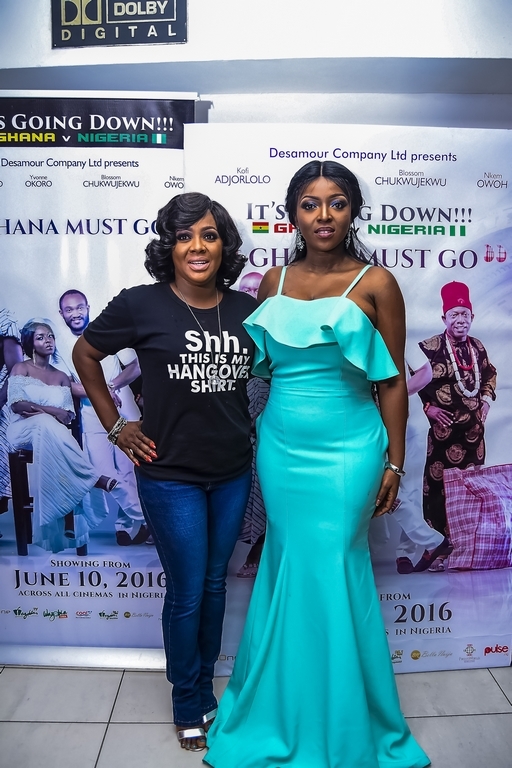 Producer, Yvonne Okoro was the belle of the night hosting some of Nigeria’s biggest A-listers to an evening of colour and pageantry. 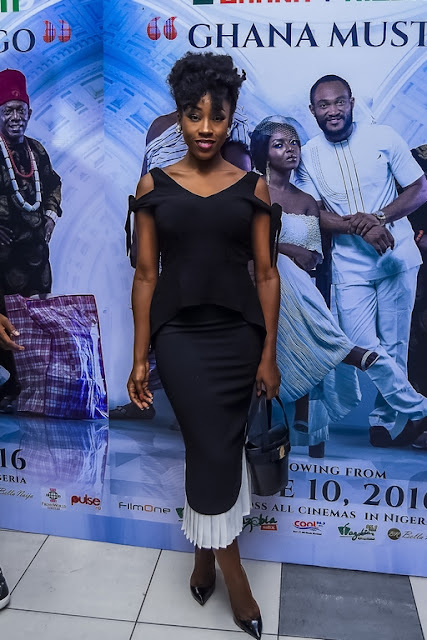 The event was attended by Chika Ike, Don Jazzy, Julius Agwu, Uti Nwachukwu, Ik Ogbonna, Helen Paul, Nkem Owoh, Blossom Chukwujekwu, Beverly Naya, Timini Egbuson, Dorcas Shola Fapson and many more. 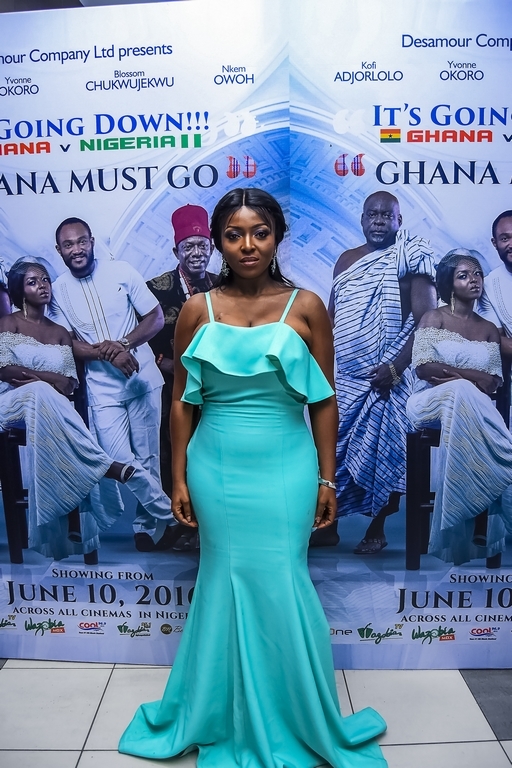 ‘GHANA MUST GO’ directed by Frank Rajah, centers around the lives of two young lovers of Nigerian and Ghanaian descent. 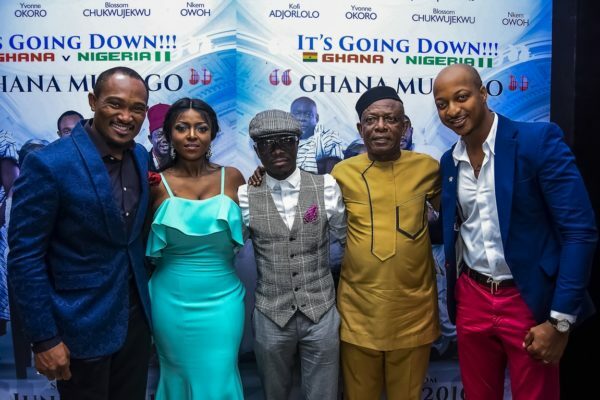 Yvonne Okoro plays Ama, a London-based Ghanaian woman who brings her Nigerian boyfriend, Chuks (Blossom Chukwujekwu), home to meet her parents much to the displeasure of her wealthy father. 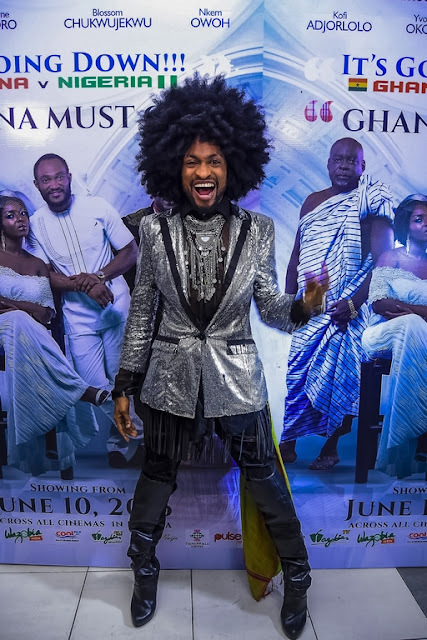 Ama’s parents refuse to give their blessing, citing historical happenings between the neighbouring nations as reason for their refusal. 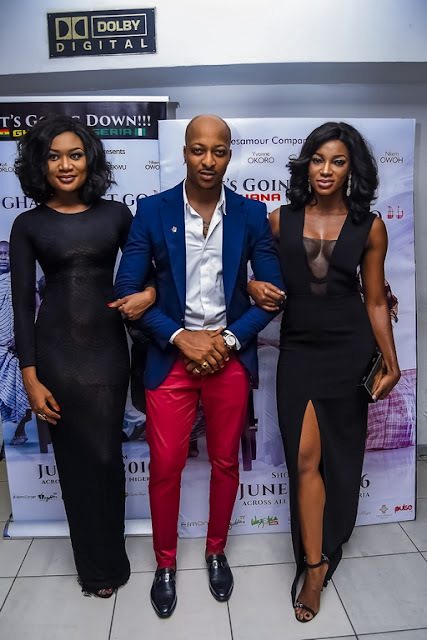 The series of events test the strength of the couple’s relationship in the most hilarious and unexpected fashion. The cast is led by Yvonne Okoro and supported by Ik Ogbonna, Blossom Chukwujekwu, Helen Paul, Ada Ameh and Nkem Owoh. The movie will be released in cinemas nationwide from Friday, 10th of June 2016.